Gotcha! Didn’t I? Read it–it’s delightful. 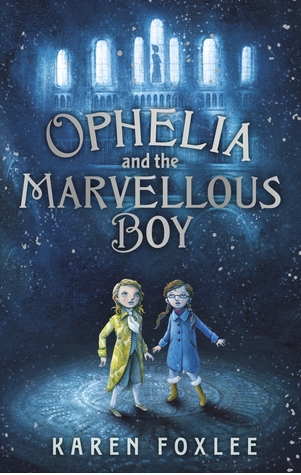 With reviews in the New York Times and the Wall Street Journal, Ophelia and the Marvelous Boy has seen international success. Amazon and the School Library Journal named it Best Book of the Year, and Publishers’ Weekly selected it as a Top Ten Book. From the first heart-palpitating moment I heard about Ophelia, I knew I had to read it. And when I found out the author, Karen Foxlee, is not only an Australian, but a fellow Queenslander, I nearly had a coronary incident. Born in Mt Isa, Karen works as a writer and nurse in regional Gympie, a few hours north of Brisbane. Well, imagine how my pulse accelerated when I found out that Karen was visiting WriteLinks, my writing group, to share highlights and insights from her writing journey so far. Karen shared her whole journey, which began as a child writing stories on butcher’s paper on the laundry room floor. In her twenties and still writing, the loss of her dad made her question the meaning of life. In the aftermath of that loss, she went back to uni and completed a degree in creative writing at the University of the Sunshine Coast. 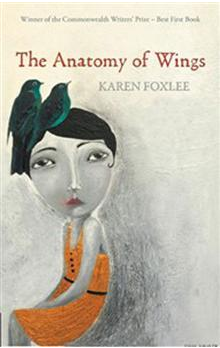 She entered The Anatomy of Wings in the 2006 Queensland Premier’s Literary Award. “I’d expected them to say, ‘This is pretty good. Try this and this, and see how you go’.” Instead, she won the award and landed a book contract with University of Queensland Press. Wings went on to win the 2008 Dobbie Literary Award and the 2008 Commonwealth Prize. It was short-listed for the ASA’s Barbara Jefferis Award. Not bad for a debut novel! Ophelia started with a wondrous what-if. What if you saw something in a museum you weren’t supposed to see? Not far into that story, Karen was dismayed to discover she was writing a children’s story. What would her publisher say? She persisted despite the looming contract for another book for grown-ups. In the process of finishing Ophelia, she somehow acquired the solution to fixing the voice in The Midnight Dress. In a testament to the power of author’s intuition, the book went on to be a great success. 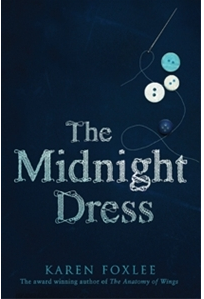 Aussie author extraordinaire Kate Forsyth gave it a 5-star review on GoodReads. The exciting news is Karen has another children’s book in the pipeline. Set in Victorian London, A Most Magical Girl is about a child who can see the future reflected in puddles. Be still, my racing heart! Watch for it in early 2016. For lone writers ploughing away with nothing but a shiny dream and a burning story, Karen’s honesty was refreshing and inspiring. Be disciplined. Treat your writing like a job: turn up every day. Believe in yourself and your story. Write something that means something to you—something that moves you. Find the balance between self-criticism and perfectionism. 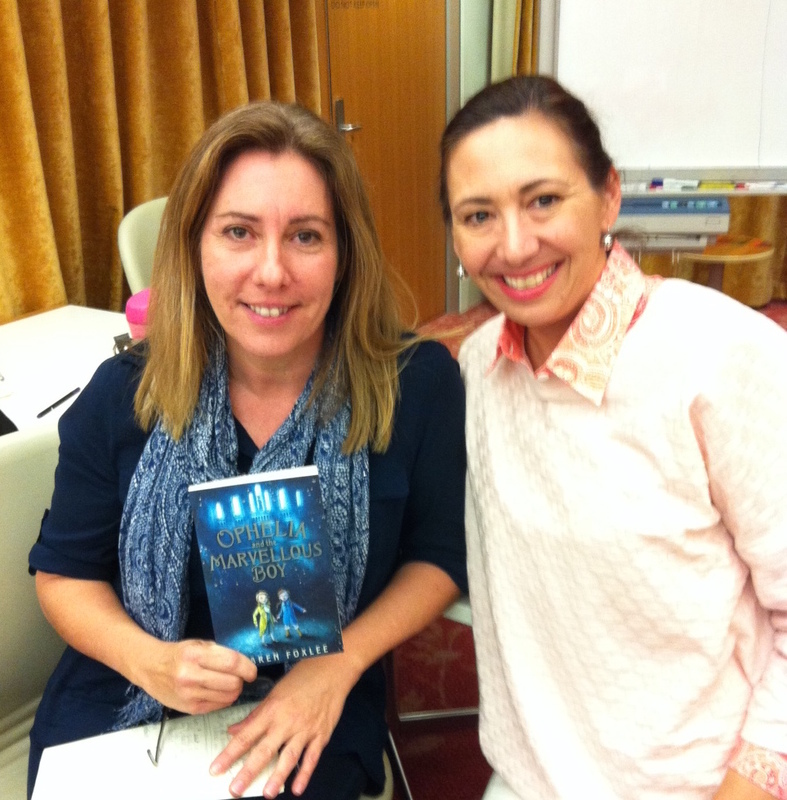 Like you, I’m a little stage struck by the very talented Author Karen Foxlee. 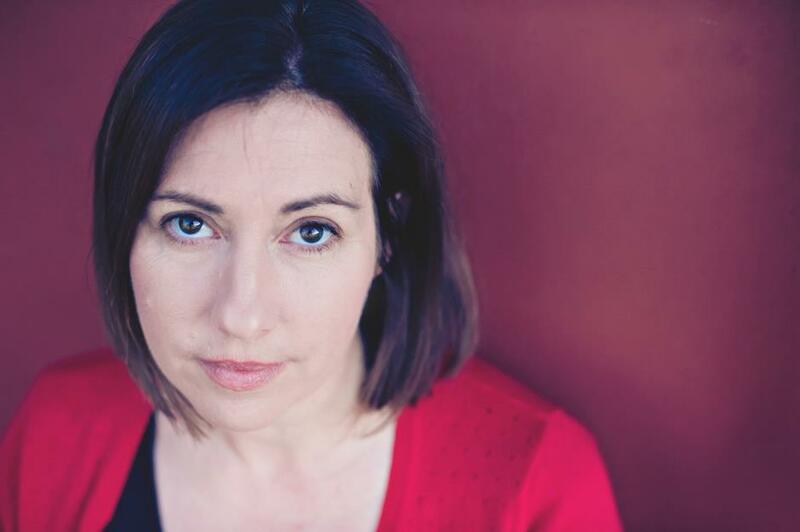 I’m a fan of her work since I read Anatomy of Wings and then met her at Brisbane Writers Festival and CYA conference … and recently at an event at the State library . I loved this talk too, and have finished Ophelia and the Marvellous Boy – just beautiful. Definitely an example to keep working at the craft and believing in the stories that won’t let go of you and just need to be written down. Hi Ali … thanks for sharing this wonderful post. For someone who has nothing but a shiny dream, I found this a timely reminder to keep working through the mess, show up everyday and believe in something that moves me. Thanks for the inspiration and ‘introducing’ me to Karen and her work. BTW your writing is a delightful read.